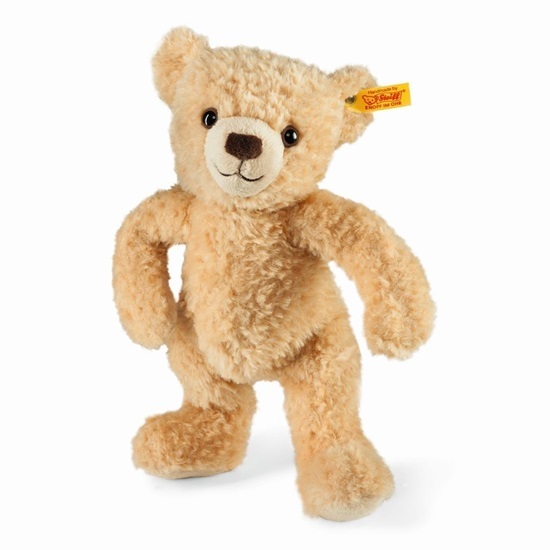 This soft plush teddy bear is the perfect companion for bedtime stories. Her soft beige plush fur is perfect for cuddling and snuggles. She is 11 inches tall and machine washable. She comes with the yellow tag "Button in Ear" and is good for ages 1 and up.